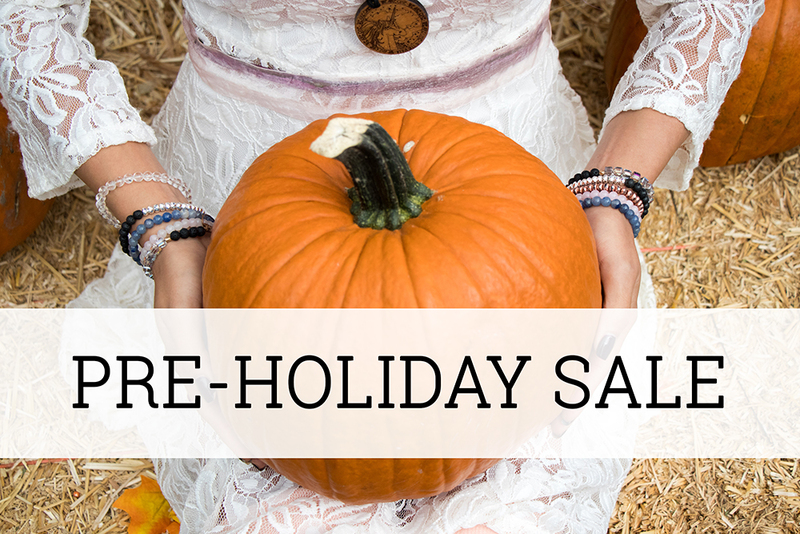 PLACE YOUR ORDER BY Oct 22nd to access the Sale! “This season... celebrate Friends and Family in your life! in your life how much you care! Our products are pared down, simple to use, safe, pure and sustainable. All Orders Over $50 qualify for FREE Shipping + 1 Free MYSTERY Bracelet! Yes, I want for only $7! Yes, I want for only $24.95! Thank you for being a part of our ever-growing community, and being with us for another amazing year! Yes, I want for only $10! Yes, I want for only $20.95! Love these bracelets!!!! Ordered the Pyrite and Sacred Arrow bracelets.. shipping was fast! I couldn’t be happier with the fit and look of these amazing bracelets! For a gift, I bought the arrow bracelet for my daughter with the lavender oil for her stress and anxiety. I love the look of the bracelet and I am sure she will as well. I will add more when she has received the gift. I have had a great experience so far with all of my orders. I have been very pleased with how fast I have received all of it. I have received compliments on my brackets. I will be ordering again in the near future. I am very pleased with this company. Happy with the shipping in a timely way, the product is very good, and their prices are great. I would recommend them to anyone. You will be very happy.